Below you can view all the homes for sale in the Foxridge subdivision located in Centennial Colorado. 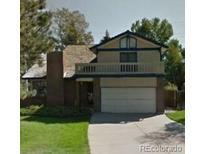 Listings in Foxridge are updated daily from data we receive from the Denver multiple listing service. To learn more about any of these homes or to receive custom notifications when a new property is listed for sale in Foxridge, give us a call at 720-924-7403. Remarkable Tri-Level style home located in desirable FoxRidge neighborhood and within coveted Cherry Creek School District*Situated on a quiet cul-de-sac with mature trees, a professionally landscaped lot with garden beds & sprinkler system*Steps from walking trails and numerous parks*Close proximity to restaurants, shopping, light rail, DTC, Inverness & Park Meadows*This 4 bedroom 3.5 bathroom home boasts over 2,700 sf of functional living space that has been remodeled in recent years and is loaded with custom quality finishes and designer touches*The interior of this home will not disappoint*Expansive HW Floors*Vaulted Ceilings*Gourmet Kitchen*Stainless Steel Appliances*Cherry Cabinetry, Granite Counter Tops*Subway Tile Backsplash*Wrought Iron Staircase Spindles*Updated Light Fixtures*Wood Burning Stove*Pedestal Sink*Cedar Closets with Built in Organizers*Master Suite with his and hers closets and sinks*Frameless Glass Shower*Newer Roof/Gutters*Flagstone Walks*Patio*UT Shed*DP Window MLS#9385719. MB The Rinehart Group. Littleton Public Schools. Set your showing today! MLS#7897889. Colorado Home Realty. Convenient location with easy access to I-25, C-470, the light rail, and Park Meadows. Super fast Ting internet available. MLS#8317004. HomeSmart Cherry Creek. 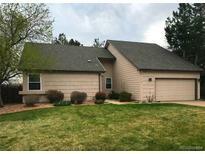 Steps to school bus stop, shopping, easy access to DTC, C-470. Pool Membership is optional @ www.foxridgeclub.com MLS#7707578. Colorado Home Realty. Quiet community and rarely a home for sale! Many updates & immaculately maintained. MLS#3819931. RE/MAX Cherry Creek. So come take a look and see the potential in this great opportunity. Video tour: http://www.sg1.io/s/1373291 MLS#3931207. Keller Williams Real Estate LLC.